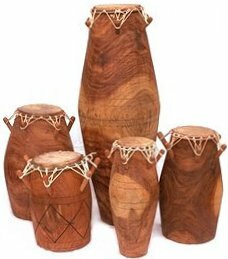 Discussion of basic structural principles found in many West African drum ensemble traditions: cyclic repetition; rhythmic ambiguity; conversation. Drum families and varieties of construction methods. Basic hand and stick techniques. Social aspects of music in African cultures. Most of the workshop is devoted to learning several traditional ensemble styles drawn primarily from the ethnic groups of present-day Ghana. There is no particular limit to the number of participants, however only eight to ten people would be involved in actual performance at any given time. 2 hours minimum.